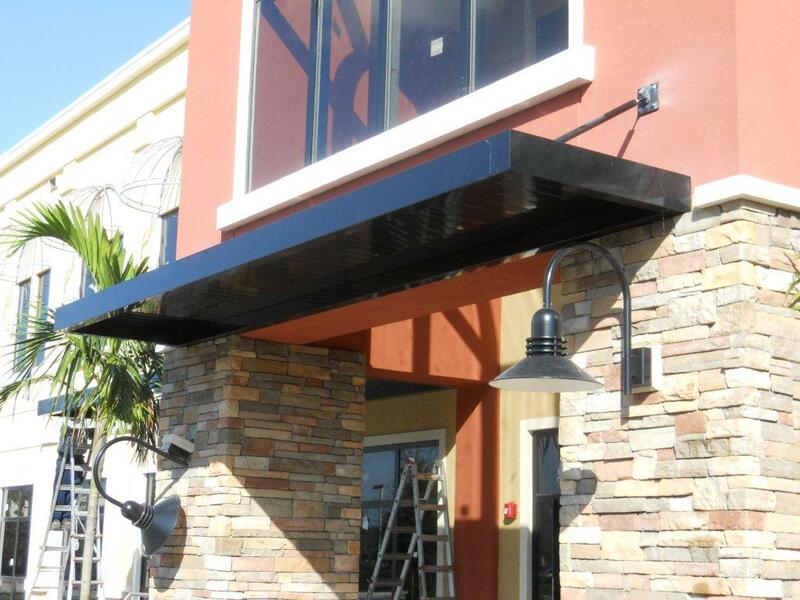 Metal Awnings have become a popular choice to enhance the appeal of storefronts and outdoor spaces. The use of fabric architectural metals instead of traditional framework has also become popular as an updated alternative to traditional fabric awnings. The availability of various fabric types and powder coat colors allow metal awnings to fit any need. Flat metal canopies are aesthetically appealing aluminum products that add form to the exterior of any building. They can be customized by choosing various fascia, soffit, arm and plate options. These canopies can be designed to provide shade or protection from inclement weather. Flat metal canopies can be fully welded or mechanically assembled, however the higher quality aluminum canopies are fully assembled and then painted to seal all joints. When designing a flat metal canopy, it is important to consider purpose and location. The body of the canopy can be customized to provide shade or weather protection or both. Individual canopy dimensions should not exceed 20′ wide by 7’6″ projection. 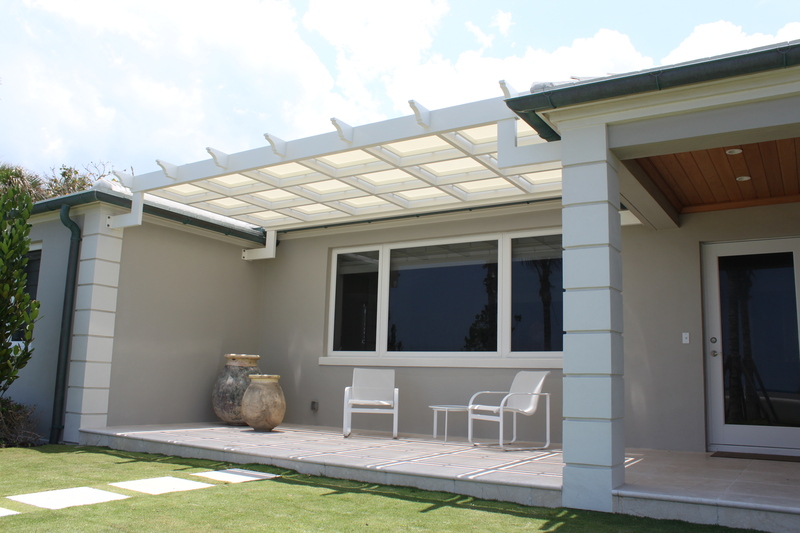 If the space calls for a canopy wider than 20′, it is recommended to install multiple units side-by-side. Including two drainage holes is also recommended. Unsupported metal canopies are often used to provide shade but can be designed to provide some weather protection. The canopy requires a strong mounting surface due to the fact that it does not have arms to support it such as flat metal canopies do. These structures are highly customizable using various fascia and soffit options. When designing an unsupported metal canopy, it is important to consider the area, as they also have limitations on width and projection. Maximum individual canopy dimensions should not exceed 20’ wide by 4’ projection. However it is possible to cover a larger space using multiple units side-by-side. Although it is possible to design a metal canopy to provide some shade protection, they are often designed only to add aesthetic appeal to a space. By incorporating fabric into a metal canopy design, it’s possible to add function as well as aesthetic appeal. With the wide selection of fabrics available, it is possible to design a metal canopy that ranges from 50-95% sun protection. Depending on which type of fabric is chose, these designs can last up to 10 years and are generally low maintenance.